When using Sweeney’s Pool Service Inc. you can be rest assured that a licensed professional will be servicing your pool. This is so important because it verifies that our technicians are trained the correct way and can handle any situation that comes up. Installing a salt system involves precision & knowledge for proper installation. Our lead technicians take courses directly with the manufacturers to ensure we meet their specifications. The great thing about salt systems is they can be installed on most pools without changing any of the filtration system components saving the customer lots of money. They are installed directly into the existing PVC at the filter site and wired into the time clock. As its name may suggest, a salt chlorine generator sanitizes swimming pool water by creating chlorine from ordinary table salt. Since you cannot avoid using chlorine, a salt chlorine generator is a great way to provide it. The main benefit a salt chlorine generator offers is its ability to recycle salt. During the process of electrolysis, as used in a salt chlorine generator to produce chlorine, the chlorine breaks down further into hypochlorous acid and hypochlorite ions, which are sanitizers. After the hypochlorous acid and hypochlorite ions neutralize the contaminants in swimming pool water, they revert to salt, again, only to be broken down into chlorine for another cycle. Gentle on Eyes and Skin- Chlorine levels are generally lower with a salt generator. 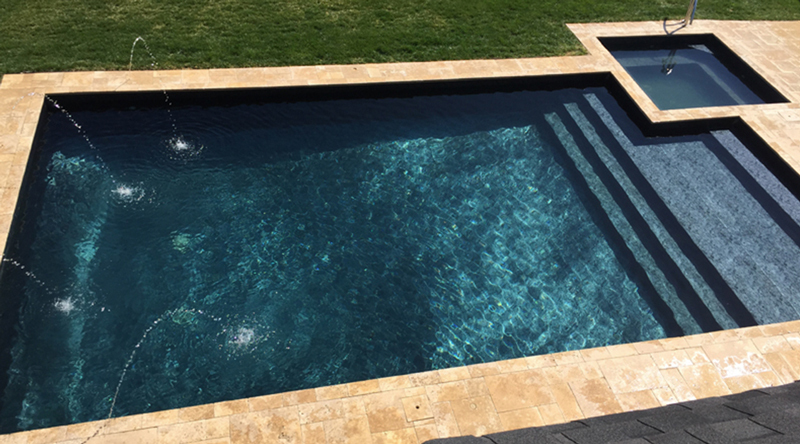 People who are sensitive to chlorine often report fewer irritations when using these pools. Safer Than Chlorine- In tablet or liquid form, chlorine can be dangerous to store and transport. Studies have shown that chlorinated water may also pose a long-term health risk which may not apply to salt water systems to the same extent (on the other hand, they do still produce the same disinfection byproducts as traditional pools). “Soft Water” Feel- If you have a water softener in your home, you know that the addition of salt makes water feel smooth and silky to the touch – like rain water. Most people prefer this to the sometimes-abrasive feel of chlorinated water. Less Maintenance- Pool maintenance is more “hands-off” with a salt water system, as the salt cell simply produces chlorine as needed. That said, you still have to monitor chlorine levels periodically to make sure everything is working okay. Low Chlorine Levels – First, the water in a saltwater pool has less chlorine content compared to a regular pool. This is because you do not need to physically add chlorine in the water. Instead, saltwater pool systems use chlorine generators that convert salt into chlorine. Low Salt Levels – Third, even though they’re called saltwater pools, the water actually has lower amounts of salt than ocean water. As a matter of fact, the salt content in this type of pool is proportionately the same as that in human tears. Hence, you can safely open your eyes even while underwater. The small amount of salt in the water can also make the skin feel softer and smoother.